Excellent support and product information from 'Joe'. 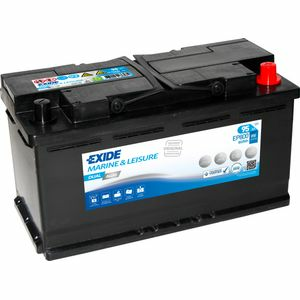 New battery used in mover operation without capacity problem experienced with previously installed popular brand so called 100 AH battery. Fitting was a direct swap. I am confident that I have been recommended a superior product, a genuine 'sealed' no maintenance AGM battery suited to my needs. Thank you Tayna and Joe. Very efficient service. 2x batteries installed in a yacht competing in this year's Fastnet Race. Yacht is currently racing and off Plymouth and running a PC, instruments, autohelm ana fridge. Only had to recharge for an hour once in over 24hrs. Old batteries only lasted 5-6hrs. So, a huge improvement! Excellent battery - performing well in the caravan. Batteries received in good condition but parcel were transported upside down. I hope that it will not cause any disfunction. Many thanks. Regards Gilles.